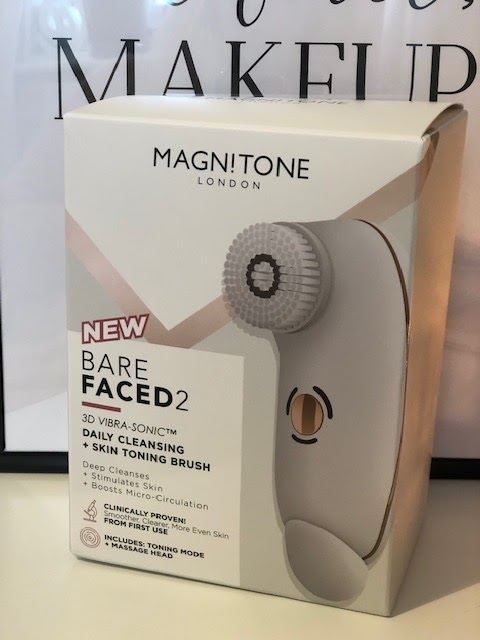 As you already know I have a bit of an obsession when it comes to cleansing so was delighted to try out the Magnitone Bare Faced 2 Daily Cleansing & Skin Toning Facial Brush. Which arrived as a surprise PR package. 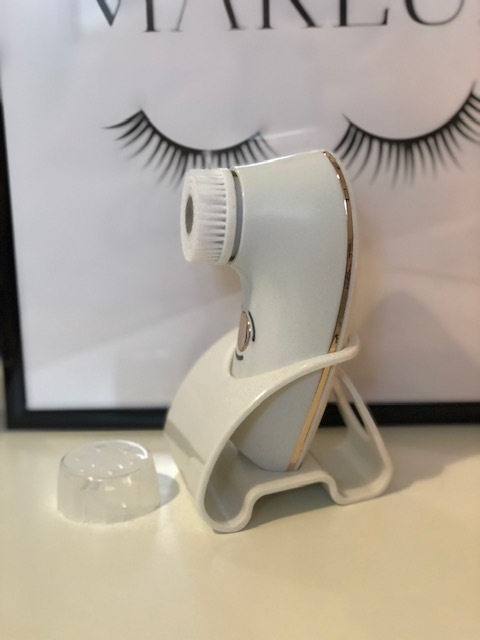 As many of you will remember last year I bought the xyz Mia 2 and paid over £120.00 with one brush head, the difference in the two machines has made my much loved xyz redundant, firstly the Mia has only 2 speeds where as the Magnitone Bare Faced 2 has three speeds, sensitive, deep cleansing and pulse toning alongside Vibra Sonic™ and 3D which means the brush contours to your face shape therefore reaching every part for easy cleansing, the tendency to use a cleansing brush to scrub at your face is definitely not needed with the Bare Faced you simply move the brush gently and let the technology do all the work. At night I always do a double cleanse which includes a first make up removal cleanse and then a deep cleanse using the brush. 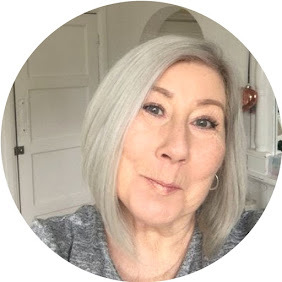 Of late I have been testing out the Magnitone WipeOut Cleansing Cloth which removes makeup using just water alone (I didn't believe it either) but it honestly works! 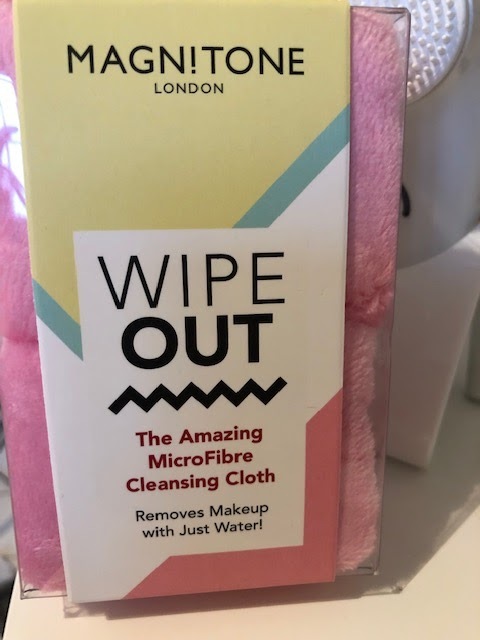 Machine washable microfibre cloth that literally grabs at makeup and rinses it away, I wouldn't use this as a stand alone cleanse as I prefer a deep down cleanse after makeup but it works beautifully as your first cleanse. I follow this with the Magnitone Bare Faced 2 on the deep cleanse mode using whatever cleanser takes my fancy that night, rinse, dry and follow up with night cream applied with my actual favourite part of the machine the Tone It Up head a silicone head that is specifically designed to apply cream with deep penetration and massaging, you literally go to bed feeling as though you have just had a full salon facial! 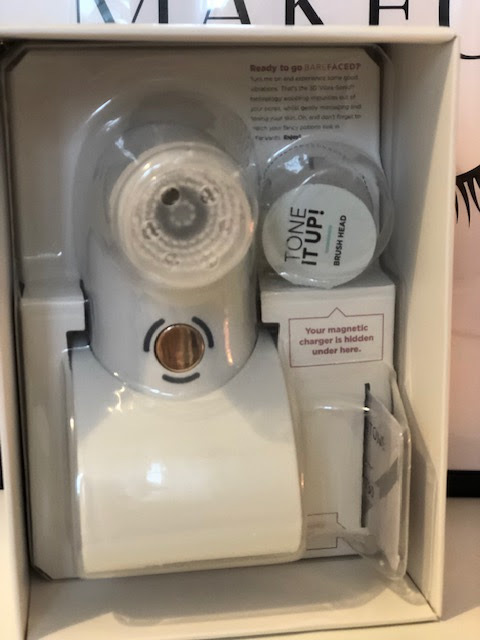 In the morning a quick whizz over with the Bared Faced 2 on sensitive mode with your usual cleanser is all you need, if you have the time you could of course apply your creams and serums using the Tone It Up head for complete pampering. 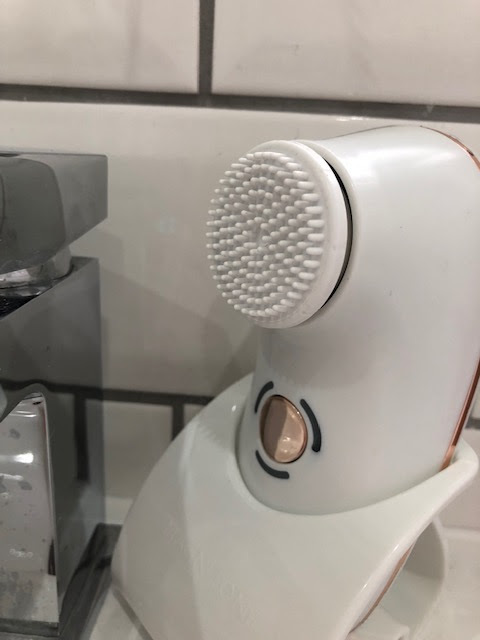 Another thing to consider when comparing facial brushes is the cost of replacement heads, the XYZ heads are around £29.00 each and the Magnitone around £16.00 for two which is a vast difference for the future. 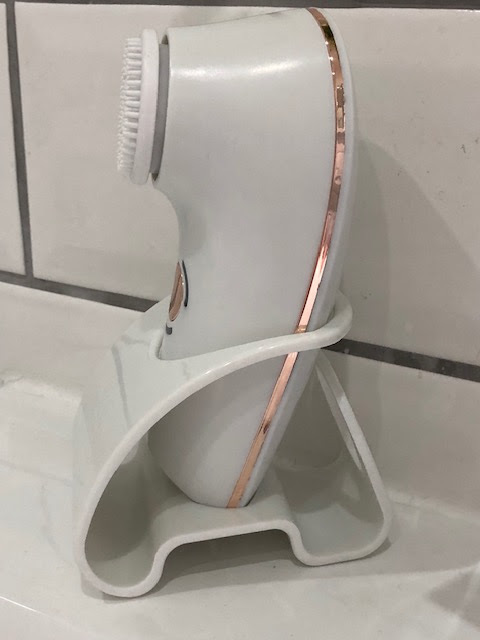 Also a HUGE benefit of the Magnitone is that it comes complete with it's own caddy so your brush has it's own stand to allow it to air dry where others just sit on the side in a puddle. I am totally in love with this machine it's a breeze to charge by simply plugging into a USB the charge lasts around 30 days use which is amazing. 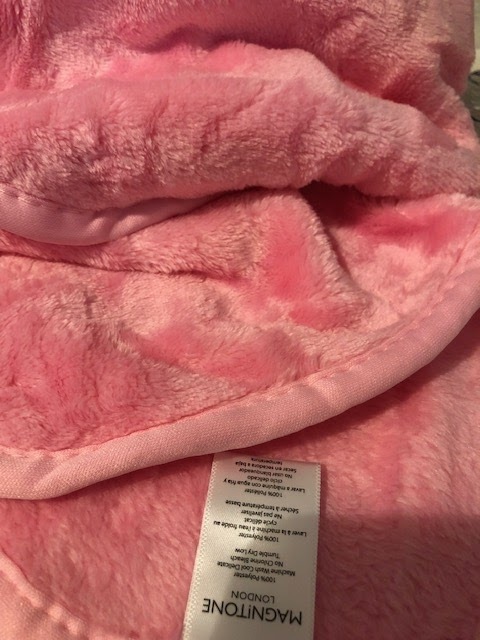 Post contains Brand/Agency sample unless stated, may contain affiliate links.